As we talked about in our blog on dry-aged beef last month, the unique depth of flavor and tenderness of dry-aged beef gives it its value and sets it apart from the beef found in your typical supermarket or grocery store. If you have never enjoyed the flavor explosion that occurs when you bite into a tender, flavor packed cut of 30-day dry-aged beef, you may be surprised to find that in addition to the mouthwatering taste sensation you will experience, a well-aged steak is significantly more tender than a fresh steak. Dry-aged beef is so much more flavorful than a run of the mill fresh steak. Once you have tasted the depth of flavor and tenderness of a dry-aged steak, you will swear that nothing else comes close, and you’ll be right! You won’t find dry-aged beef just anywhere; this premium meat is only available from certain providers, and we here at Rafter W Ranch are proud to be one such exclusive provider. Our beef is grass fed, grass finished beef from cattle raised in the glorious Colorado sunshine. 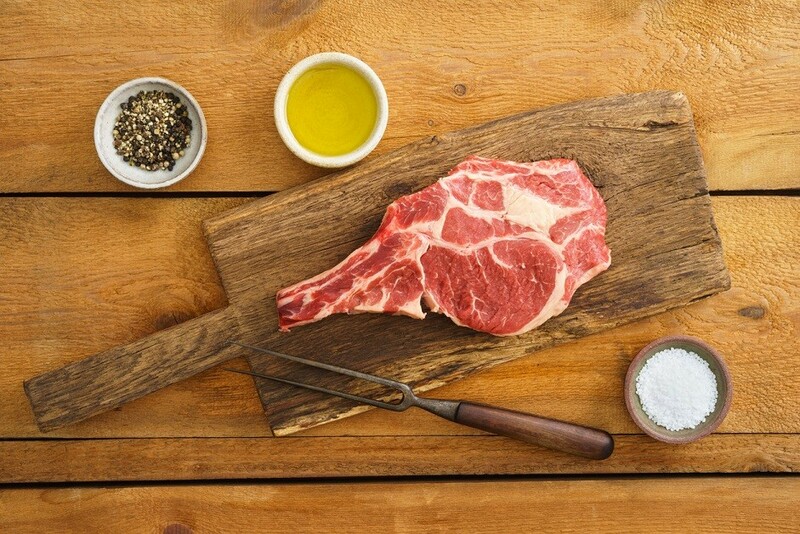 Free from chemicals and hormones that are fed to cattle raised by other methods, our beef is already heathy and lean, and when put through the dry-aging process, what you end up with is 30-day dry-aged beef that is flavorful, tender, and good for you. Because dry aging beef requires large facilities and expensive equipment, this beef is usually only found in specialty steak houses or butcher shops, and from providers like us. At Rafter W Ranch, we are proud of all the healthy, tasty products our healthy animals produce, and we are thrilled to provide support for our local community by offering a variety of healthy food for your healthy family from our happy, well cared for animals. If you would like to learn more about who we are and what we do, or if you have more questions about the 30-day dry-aged beef process, please give us a call today at (719) 541-1002 or perhaps even arrange a visit to our Simla, Colorado location.